It is just one of those days that I really didn't know what to write about. Some days I wake up feeling so inspired I just can't wait to get started on my posts, and then there are days like today. I wake up, I look around, and I see this. I actually picked up my sewing machine and set it on my desk yesterday. That was as far as I got with it. Surely it counts as a start to my sewing projects, right? Today I plan to at least get it plugged in. Who knows, tomorrow I may even see if it is still working after sitting around collecting dust for the last year and a half. SIGH!!! February is a bad month for me. It is a month that I just want to end. A time when I start to really crave warm sunshine. A time when my get up and go seems to have gotten up and gone. It is probably in Florida soaking up the rays, while I sit here drinking hot tea and dreaming of a life at the beach. 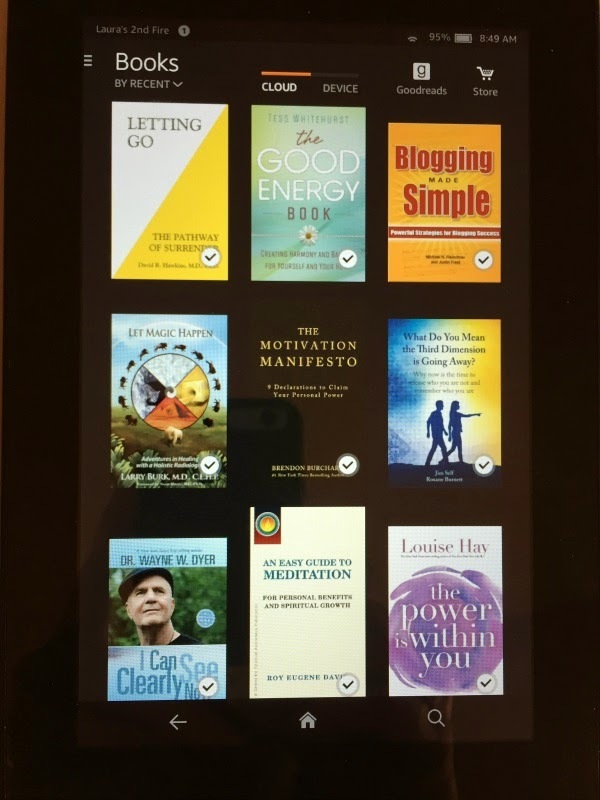 I've decided this is probably a good time to start reading some of those wonderful motivational books I have on my Kindle. Another Arctic blast is heading my way tonight, so I am going to want to just snuggle in at home. What do you do to chase away the February doldrums. here in texas, feb. means spring is starting. weeds and grasses are blooming in the yard. warm winds starting to blow to wake up the trees. bluebirds are going crazy this week for nesting spots. can't say i have to fight the doldrums. Oh well, we are still a ways away from that I'm afraid. Sounds wonderful. 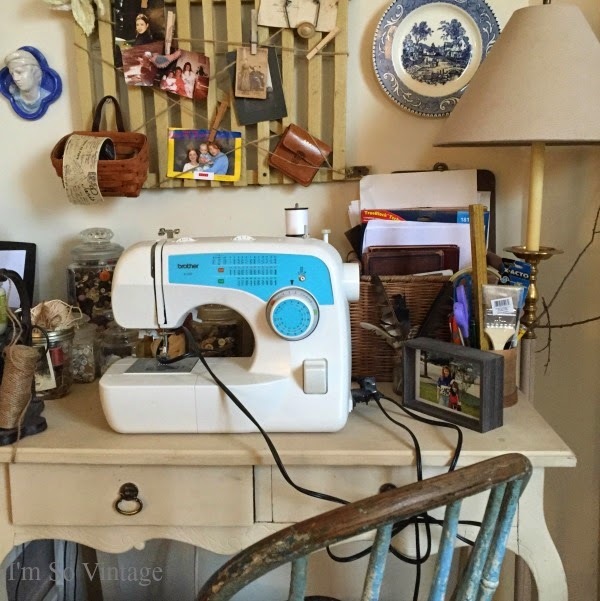 I keep looking in my sewing room, my machine is plugged in. And then I look at all the mending and just walk out. I think I need some inspiration. Since by February I'm craving green and nature, I buy house plants and enjoy them. I love mine too, Brenda, but I have gnats and nothing I have tried has worked to get rid of them. TOmorrow I am heading to Home Depot to see if they have some natural pest control. February has always been my worst month. The sun actually came out for an hour today so I stood in my office doorway and just let it bathe over me. It felt so good. Then I worked on a craft project. I sit by the window on sunny days. My sister has one of those lights for SAD. I really need to use it. March can't get here fast enough for me. Enjoy your craft project, Kim. I CLEAN!!! That's my remedy for anything!! I think it's great that you post every day! I'm not certain I could do that at least not right now. I'm trying to remember what I read about getting rid of the gnats. I think it is dish soap left in a container. There might be something else you put in it but I know it works. Maybe look it up online. I know what you mean about February. However, we are getting alot of nice sunshine today despite the cold temps and wind. We've really been caught up in a lot of house remodeling this month. Also, I have a fun trip planned with my sister and mom the end of next week. So, I guess that's how i'm chasing away the winter doldrums. Keeping busy is probably the best way, I think. I hope you find a good book to read and it will give you a better perspective. What I try to do is remind myself that I have time to focus in indoor, inward etc things / thank goodness that I don't have to mow the damn grass every three days like last summer. There's more LIGHT in February!